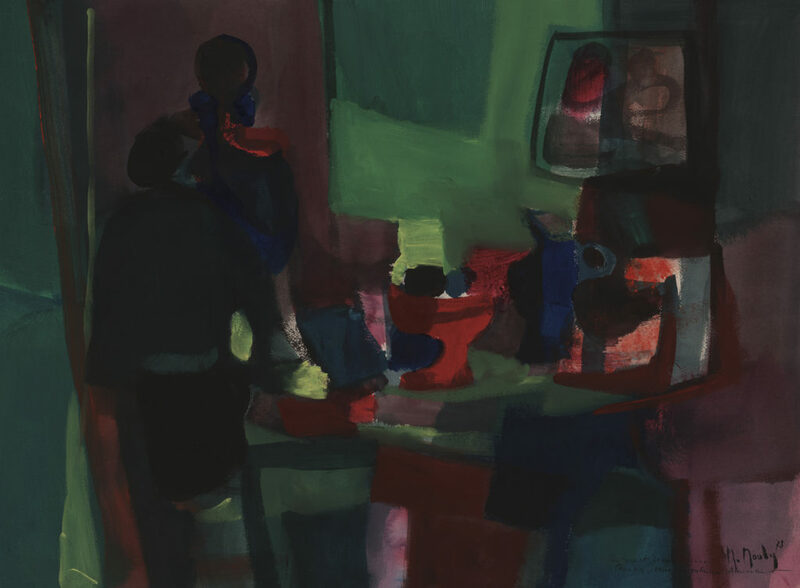 Marcel Mouly (1918-2008) is considered one of the greatest modern artists, with his works included in 20 permanent museum collections around the world. 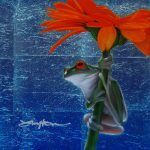 Learn more about this modernist artist who survived wrongful imprisonment to study in the tradition of artistic giants and travel the world. Many know of Mouly being wrongly imprisoned during World War II, but few realize how significant it was in shaping his path as an artist. During a trip to Normandy in 1942, German officials stopped Mouly and fellow artist Bernard la Fourcade, questioning them about their lack of travel documents. Mouly and la Fourcade returned to Paris only to be arrested and mistakenly imprisoned as spies at Fresnes Prison. Mouly spent three months in solitary confinement. His thoughts constantly turned to art, and his only outlet was to use bread from his rations to sculpt chess pieces. He resolved to become a famous artist upon his release. 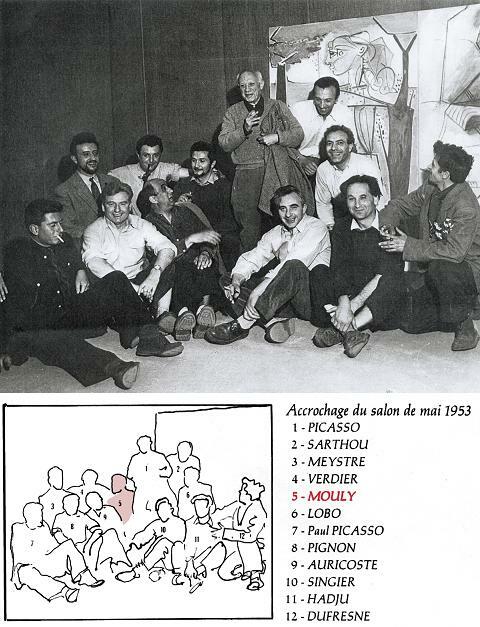 After his release from prison in 1943, Mouly took up a career in ceramics. He sculpted, painted and fired humorous figures to offer to various shops. 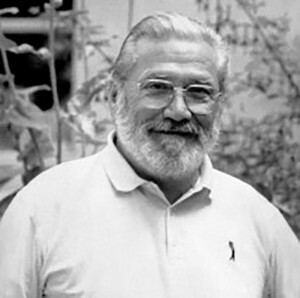 In 1944, Mouly befriended potter Pierre Roulot, who taught Mouly techniques in pottery and ceramics. At first Mouly created pipe holders and tobacco pots, but changed directions to sculpt works based on ancient Greek and pre-Columbian vessels, including bowls, tureens, vases and pitchers. Mouly used his proceeds to support himself until he earned a living from his paintings. 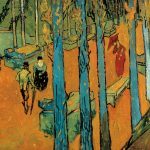 Mouly learned from some of the best when developing his painting. In 1945, the Salon d’Automne in Paris exhibited Mouly’s works alongside art by Henri Matisse. A year later Mouly moved into La Ruche, an artist’s residence in Paris where he befriended Marc Chagall, Yves Klein and Pablo Picasso, visiting the latter at his studio on the Rue du Grand Augustin. In the 1950s, Mouly traveled the world thanks to his art, taking at least one trip a year to visit over 40 countries. Among his destinations were Sweden, Morocco, Germany, the Netherlands, Belgium, Italy and Japan. During his travels, he took “notes” in the form of colored pencil or watercolor sketches. 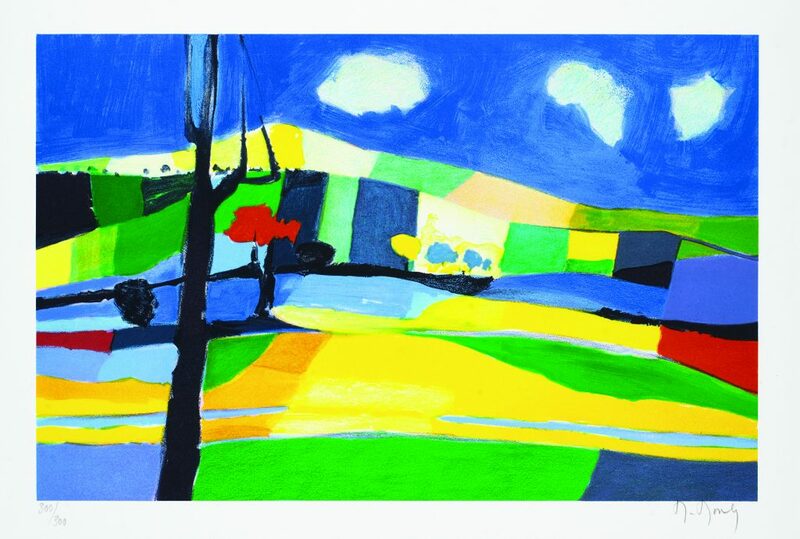 Though often associated with Cubism and Fauvism, Mouly once painted an Impressionistic work. The painting, however, didn’t survive. In 1935, Mouly created his first oil painting of an Impressionistic seascape. He immediately destroyed it on the basis that he wanted to remain unattached to a specific theme. Mouly did eventually return to the sea in the form of painting ports. 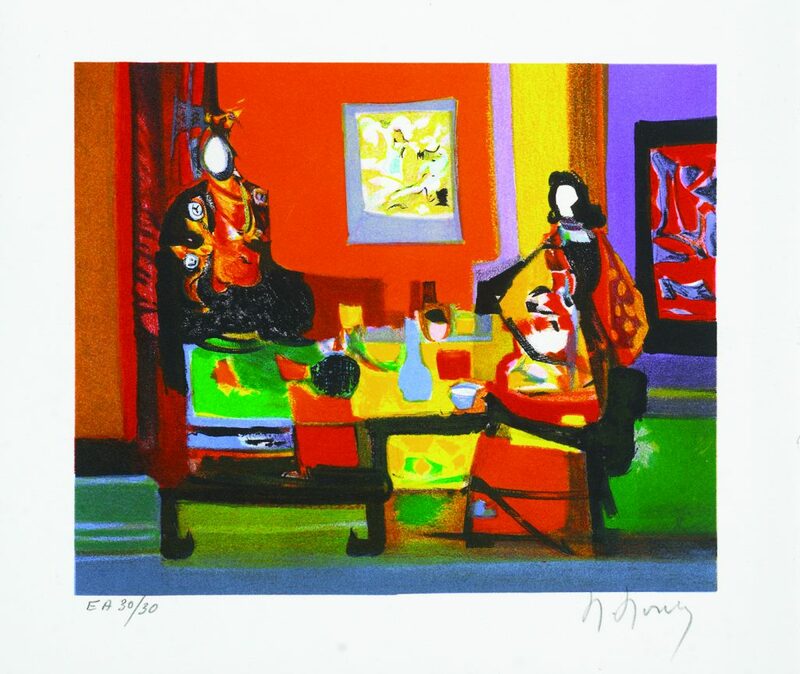 Mouly published all of his lithographs with Park West Gallery for the last 20 years of his life. Contact Park West Gallery at (800) 521-9654 ext. 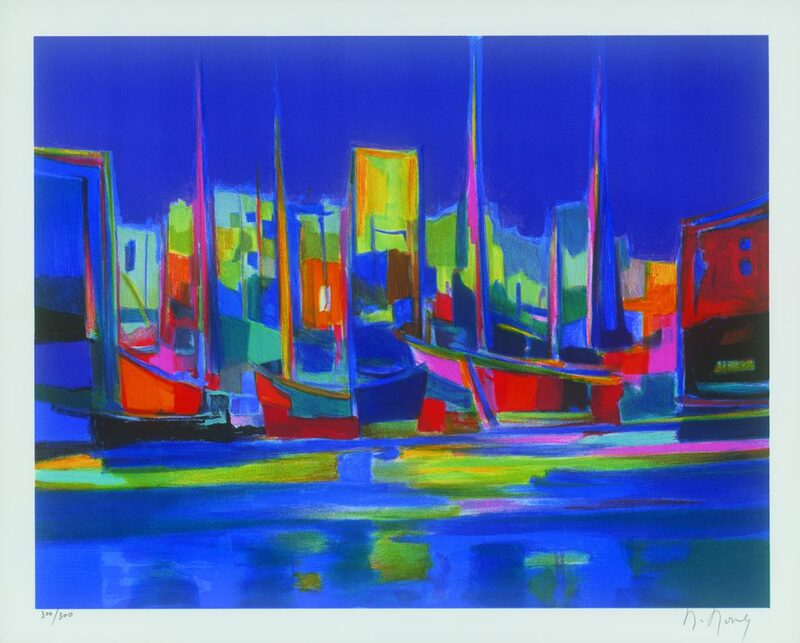 4 or sales@parkwestgallery.com for more information how to collect art by Marcel Mouly.